Myths about online reviews? Though leaving reviews has almost become second nature for consumers — and companies like yours place a lot of interest in what they say — there are still plenty of myths and misconceptions about the importance of online feedback. The fact is, 88 percent of consumers say they trust online reviews as much as word-of-mouth recommendations. In other words, the online reviews your clients are leaving you could be as good as the opinion of your next client’s best friend. Since online reviews are critical to the success of your company, eEndorsements has put together a list of five commonly held myths about online reviews that need to be corrected. Find out what they are — and how you can learn from them — below. Myth 1: The star count of a review is its only influencing factor. You might assume that clients will simply see a few four or five star reviews on your page, decide you’re a reputable business, and move on. Though the star count is important, there are other factors at play. Consumers tend to rely on text as well as stars, because they tend to be more influenced by people who they feel are similar to themselves. 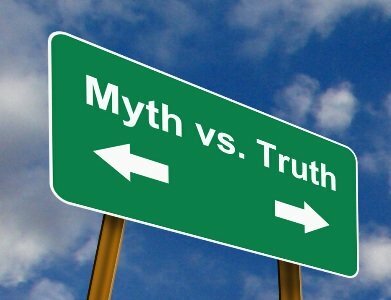 Myth 2: It’s pointless to respond to reviews. Though most wouldn’t think it, the reviews are just as much there for your client as they are for you to build your business. Responding to reviews humanizes your brand, proves that you’re interested in what your customers have to say, and allows you the opportunity to clear up any mistakes or misinformation about your services. Myth 3: Customers only write reviews when they’re angry. This simply isn’t true. Clients do tend to write reviews when they’re angry, but do so more often when they’re extremely happy with your services. Reviews are generally left by customers at both extreme ends of the spectrum, but on major review venues, the numbers speak for themselves: Past statistics have shown that 75 percent of the reviews on TripAdvisor are positive, as are 79 percent of the reviews on Yelp. Myth 4: No one trusts online reviews. Myth 5: Online review and reputation management is time consuming. It doesn’t have to be, and with eEndorsements, we take most of the guesswork of managing your reviews out of the equation, streamlining the process of requesting and boosting feedback from your customers. Simply put, maximizing your return on online review management doesn’t have to be complicated. These are just some of the common myths about online reviews. Educating yourself on why they’re not quite accurate is the first step to utilizing them efficiently — and ultimately, to help grow your business.